Do you ever wonder what it might sound like in Heaven? I know we all have questions about Heaven, but this morning, I think that I heard what it might sound like in Heaven! I drove up the big hill as I do every day and rolled the window down to enjoy the 68 degree temperature. As I drove with the radio off, I heard the sweet sounds of birds singing, of trees rustling, and the wind blowing so gently. All of this, a sure sign that fall is here. 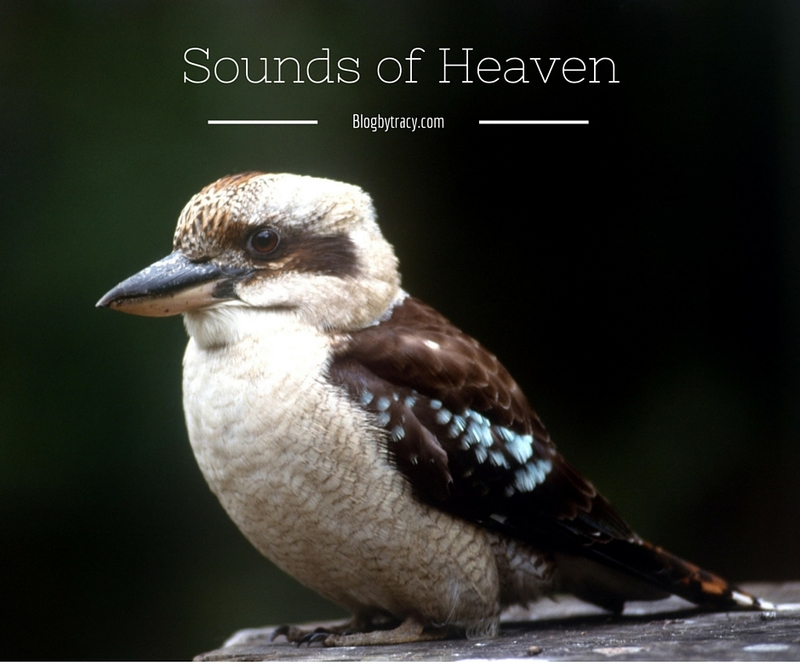 Do you ever wonder what it might sound like in Heaven when we get there? Some people that I have asked say that it will be quiet. I think there will be moments of quietness, most of all there will be peacefulness. Actually, I think it will be just like this morning, exactly what I experienced here on this earth at 10:15 this morning CST. It was complete tranquility. Quiet but with birds chirping, and even a hint of the leaves rustling. Magnificent, really amazing. I was in awe of God’s creation this morning. Being awe struck by God’s gifts this morning made me pause to consider how often I miss Him. No doubt, I miss God’s gifts. I miss them in the very moment they occur, I miss them every day. I admit it, I get so consumed with me and my ‘day to day’, and my efforts to control life around me that I miss the very blessings that I’ve been gifted. Today is day #3 of Writing for 31 Days. The question of ‘what does Heaven sound like’ struck me this morning as I was driving. It stuck with me all day, as I keenly listened for sounds throughout the day. Living intentionally has been on my heart lately and I wonder if God is asking me to be intentional about picking up the sounds of the day that might be indicative of Heaven. He put this on my heart today and the sounds that I heard made my day so sweet and so rich. The birds and the spirit of the fall season ruminated in my mind and I hope that you get a listen to what Heaven might sound like today. Tracy, I have just discovered you and am so glad I did. I think Heaven will be filled with the music of classical symphonies, traditional choirs, gospel choirs, country choirs, and many, many singers all praising and glorifying God – and yes, there will probably be contemporary praise music!